Hayley Industrial Electronics Ltd. designs and fabricates products from a 45,000 sq. 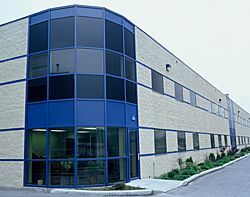 ft. manufacturing facility based in Calgary, Alberta, Canada. Our uninterruptible power supply (UPS) systems are relied upon in oilfield operations, hospitals, the manufacturing sector and many other industries around the world. We also offer design services to create customized UPS systems to suit the diverse needs of our clients. We also manufacture a range of other quality products including cabinets, sheet metal and power coating. To learn more about our quality products, give us a call today or fill out our convenient eform.